This clean simple toolless design, uses snap clamps to secure the housing and integrated element components together. The ECO III features four levels of sealing for maximum engine protection. The entire ECO III system is serviced with four quick release stainless steel parameter clamps. The house can be rotated 180o on the base. 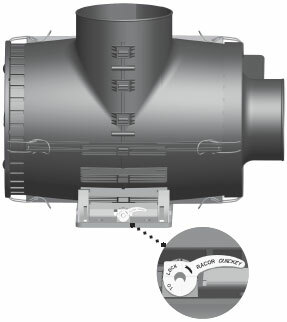 The outlet port is field reversible, and the orientation of the inlet port is adjustable in 20o increments. Reversible base mounting bracket and hardware mounts quickly, in any direction. Quick Key, integral to the mounting base securely locks the ECO III housing after the filtration unit has been precisely positioned.